In Indonesia, you can find so many mountains. Indonesia even called a country that located in the center of the Ring of Fire. Those mountains that resembling Ring of Fire are still active today, and one by one starting to errupt. But, the lake attractions that you can find in Indonesia like inside the things to do in Sibolga North Sumatra, still look awesome. Aside from things to do in Parapat, Sumatra also has something else. The very first location we want to talk about is the Lake Singkarang itself. This lake is located in the area of Solok West Sumatra, in the Padang Panjang street to be spesific. Lake Singkarak can be said as the best lake on that area. With the admission fee of Rp1.500,- only, the visitors can enjoy the beautiful and exotic panorama of Lake Singkarak. The lake is also completed with so many facilities like villas and a restaurant. In here, there’s one special meal you should taste called Bilih Fish. Next one is Gagoan Peak. 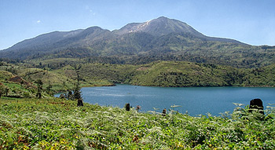 In the area around Lake Singkarak, there are so many attractions that called as Puncak or Peak in English. These Peaks were built to give the visitors access for looking at the beautiful view that Solok has. 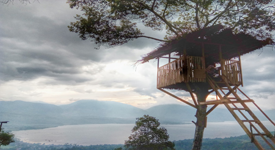 Laing Park is one of those tree house attractions in the area of Lake Singkarak. This tree house is usually not so crowded with people, even during weekend. So, you and your family can use this chance to explore the area fully. Basically the architecture of the tree house is pretty simple. There’s a bridge that connecting the entrance to the house, but it’s not very high above the ground, just a meter or two. But, maybe because of it’s a free attraction, people would consider coming to this place. 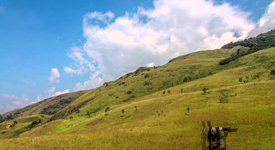 The next peak attraction is Gobah Peak, that located around the area of Nagari Aripan, Solok. Just like the attractions of Liang Park above, this one is also a tree house. But, the building is more simple than before. It just looks as beautiful as the things to do in North Sumatra. Kapalo Banda is the natural park that is also exist around Lake Sinkarak. This one has a pretty large area, consisting many kinds of attraction starting from the lake, up to the waterfall. People usually come here with their family. To explore the lake, there are some boats in here that can be rented by the visitors if they want. They also ask the help of the boat man to accompany them if they don’t know how to ride it. With Rp20.000,- only, you can get all the interesting things inside. Tips : Always be careful when exploring the lake, especially if you can’t swim. Next one is Sarasah Batimpo Waterfall, famous for ust very tiring hiking track. This waterfall located around a village named Laing. 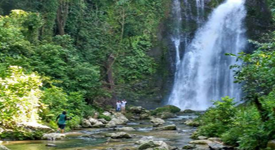 Around this village, there are some eco tourism attractions that you can see after visiting this waterfall. The water in Sarasah Batimpo is very clear and refreshing. That’s why many hikers will stop by to enjoy the water for their refreshment. 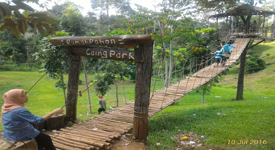 Because of that, this place is really suitable for the nature lover, especially with the cost of Rp5.000,- only. Talang lake is the lake that located on the foot of Mount Talang. It’s placed beautifully around Dibawah and Diatas Lake. 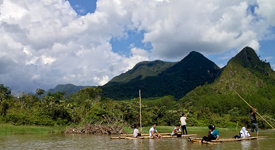 The great thing to see here is the view of Mount Talang, when either sunrise or sunset. like the mountains on the things to do in South Sumatra. You can rent a boat if you want to, with the cost that is not so high of course. The view that is completed with green vegetations around will hipnotize everyone who coming in there. Well, the admission ticket is also very affordable, it’s Rp3.000,-. Tips : To rent a boat, you should prepare some money first. After this, we want to introduce to you the other locations around Lake Singkarak that also worth visiting. Most of them are the natural attractions, but some of them are the architecture or the building like mosques and some high spots in things to do in Lake Singkarak. That’s the list of things to do in Lake Singarak for you. As you can see above, the area of West Sumatra save a lot of natural attractions for us. Most of them coming in the form of lakes and hills. Also don’t forget those beautiful peaks. Beside those attractions, the waterfall type of attractions can also be found around the area of Lake Singkarak, which is so awesome. Because of how virgin they are, some of them even don’t have the entrance ticket.